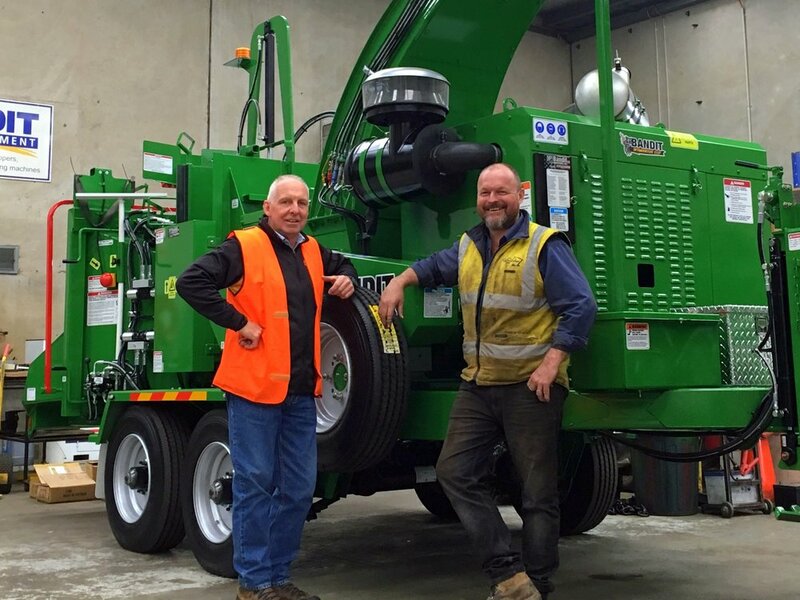 Introducing Tree Top Tower Hire’s new 22” Capacity Hand-Fed Bandit 21 XP Chipper, the “Big Beast”. This monster is the largest chipper in Victoria taking logs up to 22 inches. This allows Tree Top Tower Hire to now tackle the biggest clearing jobs that other companies can’t handle. The 21XP combines big horsepower, huge chipping capacity of almost two feet in diameter and an unstoppable feed system, with easy manoeuvrability for all jobs large and small. The large chipper opening and sloped infeed system makes it easy to feed large logs and whole trees into the chipper and it easily handles multiple limbed material and forked branches. Tree Top Tower Hire can help you with your large tree removal. Contact us now for a Free Quote. The Big Beast chipper in action, removing Pine and Cypress trees for the proposed solar project.